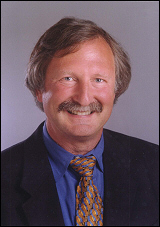 Dr Carl O. Helvie, Host, Holistic Health Show will interview Frank Titus and Mitchell Yass on Saturday at 12 noon PST. Frank Titus is a leading exercise therapist and pain management expert for over 16 years. After graduating with a B.S. degree in Exercise Physiology from Indiana State University in 1992, Frank worked as an Assistant Director at the Egoscue Method Clinic in San Diego, where he recognized that motion and exercise therapy modalities had higher success rates and longer-term benefits than other pain treatments. He then abandoned plans to continue on in physical therapy or chiropractics, and instead, became actively involved in popularizing spine and body alignment as the most effective ways of eliminating pain. Mitchell Yass is a licensed physical therapist, author and founder of the Personalized Pain Resolution method. Already known as the “Miracle Worker” throughout Long Island, New York, he uses the Internet to solve America’s pain through downloadable videos offering exactly what one would experience during his in-person evaluations. Subjects of videos include Herniated Disc-Lumber (lower back), Herniated Disc-cervical (neck pain, and Sciatica.